『문경새재』는 조선 태종 14년(1414년) 개통된 관도 벼슬길로 영남지방과 기호지방을 잇는 영남대로 중 가장 유명하며 조선시대 옛길을 대표한다. 에는 ‘초점(草岾)’으로, 에는 ‘조령(鳥嶺)’으로 기록된 길로 조선시대 영남도로에서 충청도(한강유역권)와 경상도(낙동강유역권)를 가르는 백두대간을 넘는 주도로의 역할을 했다. 문경새재는 조선시대 대표적인 관도로 제1관문 주흘관, 제2관문 조곡관, 제3관문 조령관 등 3개의 관문과 원(院)터 등 주요 관방시설과 정자와 주막 터, 성황당과 각종 비석 등이 옛길을 따라 잘 남아 있고, 경상도 선비들의 과거길로서 수많은 설화가 내려오고 있는 등 역사적, 민속적 가치가 큰 옛길이다. 또한 문경새재가 위치한 주흘산, 조령산의 다양하고 아름다운 식생 경관과 옛길 주변의 계곡과 폭포, 수림터널 등 자연경관이 아름다워 경관 가치가 뛰어나며, 문경시의 ‘옛길 걷기 체험“, ”과거길 재현“ 등 옛길과 관련한 다양한 체험 행사가 매년 개최되고 있어 현대인들이 조선시대 옛길 문화 및 선비 문화를 향유할 수 있는 훌륭한 옛길 자원이다. 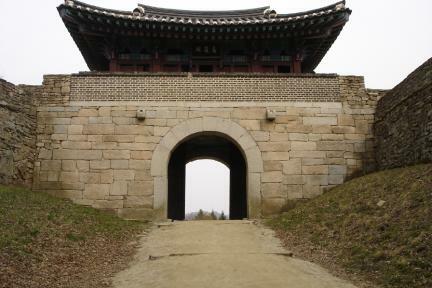 Mungyeongsaejae Pass was opened in 1414, the 14th year of the reign of King Taejong of the Joseon Dynasty, as part of the public road connecting Gyeongsang-do and Chungcheong-do. 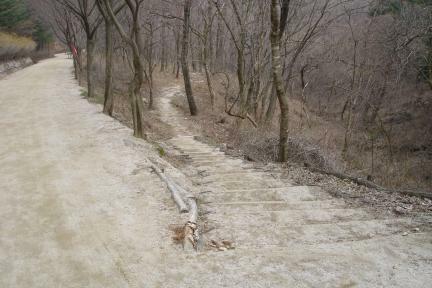 During the Joseon Dynasty, it was among the most well-known provincial roads in the country; numerous scholars from Gyeongsang-do traveled over this craggy mountain pass on their way to the capital to take the public service examinations. The three main fortress walls -- Juheulgwan (Gate No. 1), Jogokgwan (Gate No. 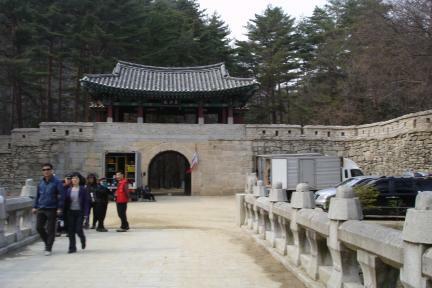 2), and Joryeonggwan (Gate No. 3) -- still stand along the pass. The ruins of public facilities including state-run inns, pavilions, and taverns as well as shamanic shrines and many steles also remain, attesting to the rich history of the area. 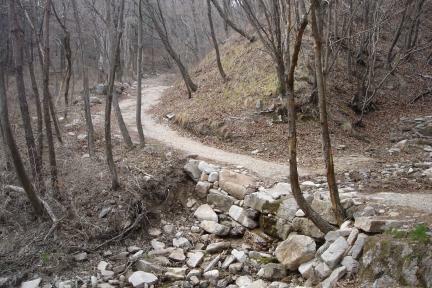 The mountain pass was the main route linking the Hangang River basin in Chungcheong-do and the Nakdonggang River basin in Gyeongsang-do over the Baekdu Mountain Range. It was introduced as Chojeom (Grass Hill) in the Geographical Record from the Annals of King Sejong (r. 1418-1450) and as Joryeong (Bird Pass) in the 15th-century national gazetteer Dongguk yeoji seungnam (Augmented Survey of the Geography of Korea). 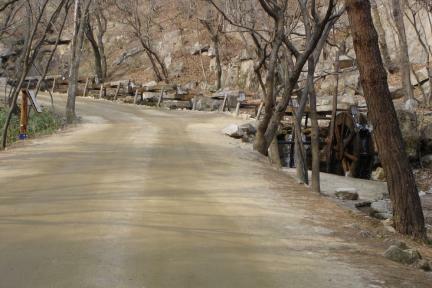 Mungyeongsaejae Pass lies on two mountains: Joryeongsan and Juheulsan. The beautiful valleys and falls, diverse flora, and tree tunnels along the pass create beautiful landscapes. 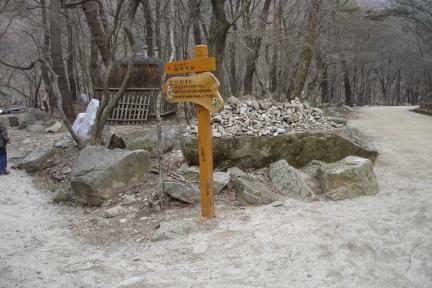 The historical and folk value of the area has been rediscovered through public events such as walks along the ancient roads and road restoration projects organized by the city government of Mungyeong to publicize the travel culture and lifestyle of Confucian scholars during the Joseon Dynasty.